Ever felt a baby’s skin and secretly wished you had skin like them? Well! You’re not alone. Each one of us, love to have a beautiful and flawless skin. And how we wish there was something that could take away the years from our face and our skin gets back to looking gorgeous. Don’t worry, the solution is not far from your kitchen. All you need is these simple ingredients and you’re good to go. So Zuri brings to you some simple yet effective remedies to get beautiful and flawless skin at home. Most of us have skin issues like dry and dull skin, acne spots and blemishes, pigmentation all of which makes your skin look awful. But with these simple remedies you can make your skin get back to looking clear, soft and radiant. For those of you with dry skin issues, here comes a really simple solution and the best part is that it shows instant results. Just pick up an ice cube, dip it into some malai or milk cream and gently rub on your face. 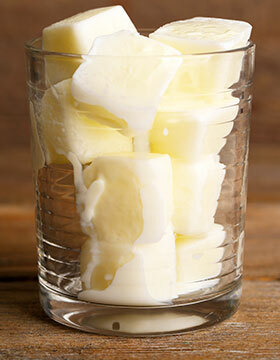 Ready to go the extra mile, pour some milk cream into an ice tray and leave it in the freezer to form malai cubes. Now rub these cubes on your face in a circular motion for 2-3 minutes. It will not only bring a natural glow to your face but will also leave you looking fresh and radiant within minutes. Now how to tackle those pesky pimples and blemishes? Well! Lemon can work wonders for this problem. Lemon is known to be a natural astringent that is high in citric acid that controls oil production, exfoliates the skin and kills acne causing bacteria. Moreover, it also takes care of enlarged pores and acne spots. Being a natural bleaching agent, it also works towards improving your complexion, leaving your skin supple and glowing. 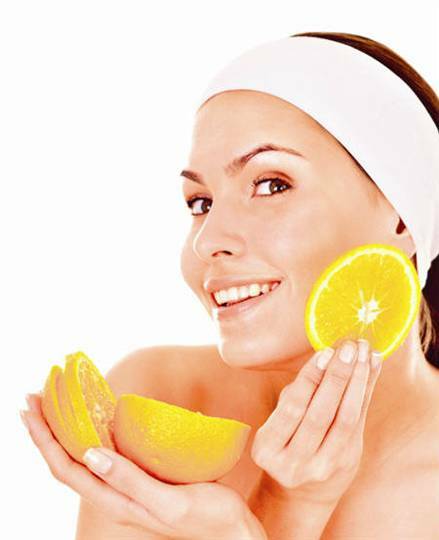 So squeeze the juice if a lemon and apply it on your face with a cotton ball. Let it sit for about 10 minutes and later wash with water. Skin discoloration and pigmentation is another issue that prevents your skin from looking beautiful and flawless. Here, potato slices can come to your rescue. 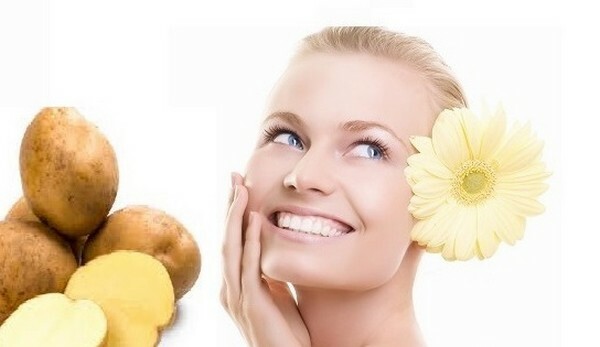 Just slice a potato and rub the slices directly onto the affected area. Leave it on for half an hour and rinse off with lukewarm water. Try this remedy daily for a month and you’ll notice visibly clearer, brighter skin with an even skin tone. Rose water is by far my most favourite beauty ingredient. It helps maintain the pH balance of the skin. It moisturises, revitalises and rejuvenates tired looking skin, giving your face a healthy natural glow. It is a natural face cleanser that also does away with open pores. So soak a cotton ball in some rose water and massage it onto your skin for a few minutes. Use this remedy twice a day. 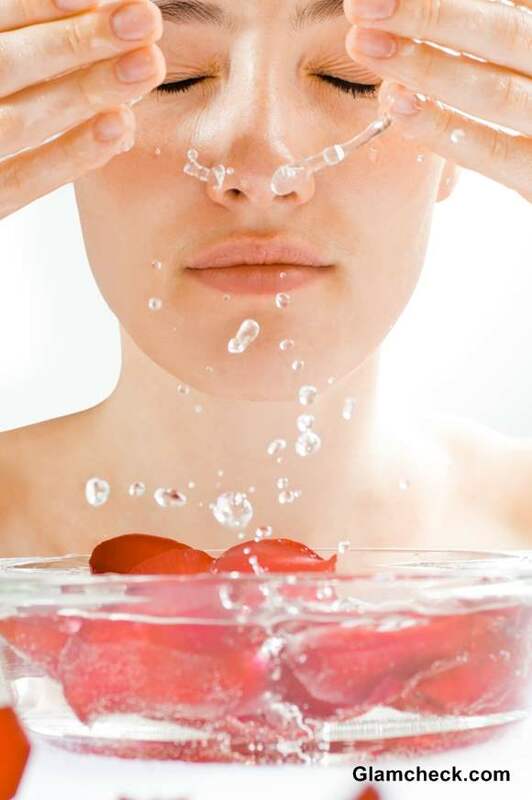 Regular use of rose water can turn even the dull and drab skins into healthy, glowing ones. So try one of these wonder ingredients and say hello to baby soft, luminescent, spotless skin.